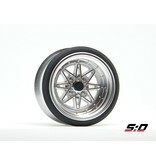 Scale Dynamics V16D Wheel (Rim) Series has a 44mm rim diameter which replicates a 16 inch rim scale conversion look. 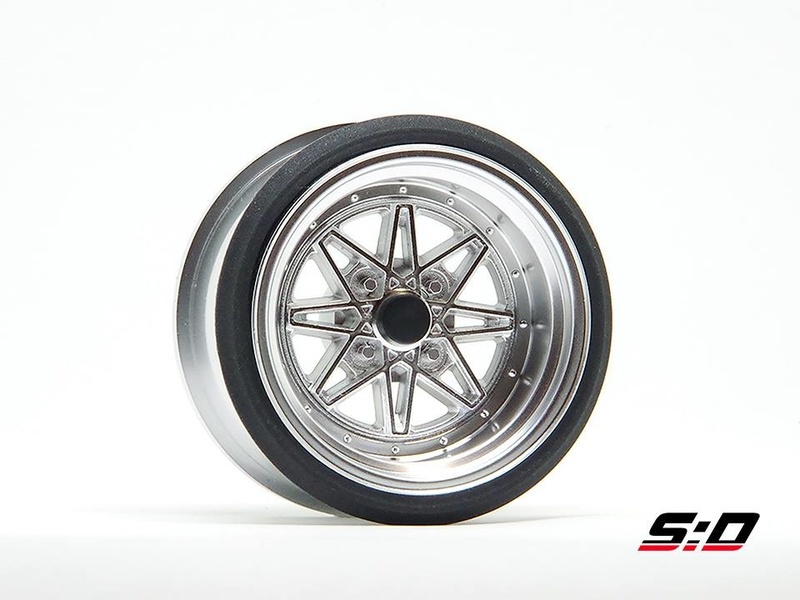 The wheels fit all 1:10th scale tires (26mm width, 52mm I.D.). The given off-set is based on Tamiya 0mm. This seems much, but please try to understand how this is calculated: the overall wheel width is roughly 29.5mm (this extra 3.5mm is for the stretched sidewall and outside rim) So the tire mounting position is 3.5mm more back. This makes you need the judge the off-set 3.5mm lower when you want to compare with other brands. 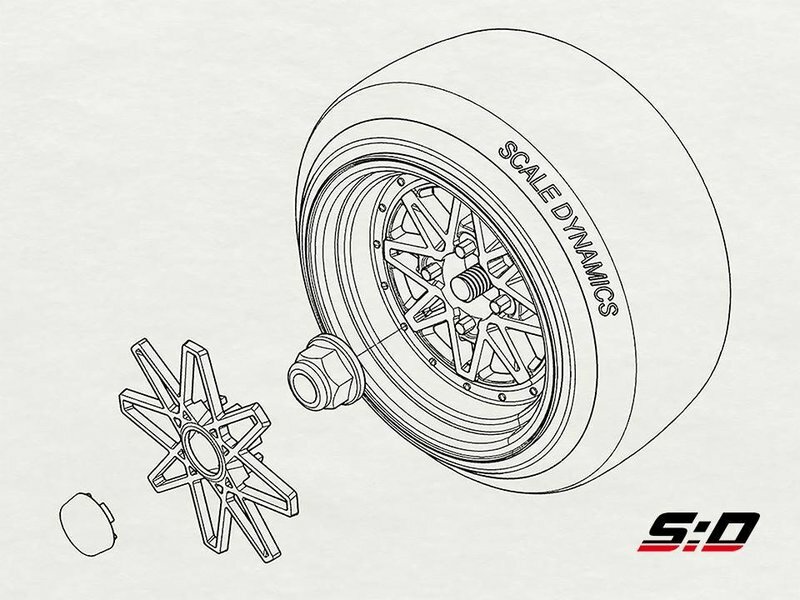 So when Scale Dynamic gives you 10mm offset you can compare it with 6.5mm of other brands. 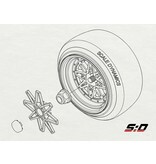 But keep in mind this is based on the tire position. The wheel will stick out because of those cool stanced look.